The foldable flap of this shoulder bag closes with 2 magnets. The main compartment is secured with a push button. 55% hemp / 45% organic cotton, leather inserts. 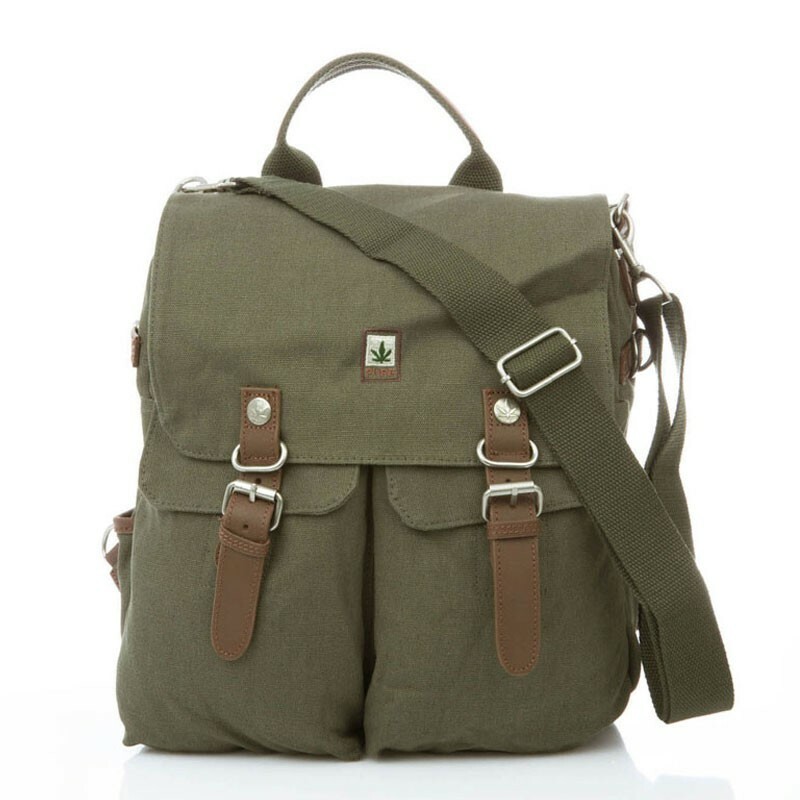 Khaki color. The foldable flap of this shoulder bag closes with 2 magnets. The main compartment is secured with a push button. 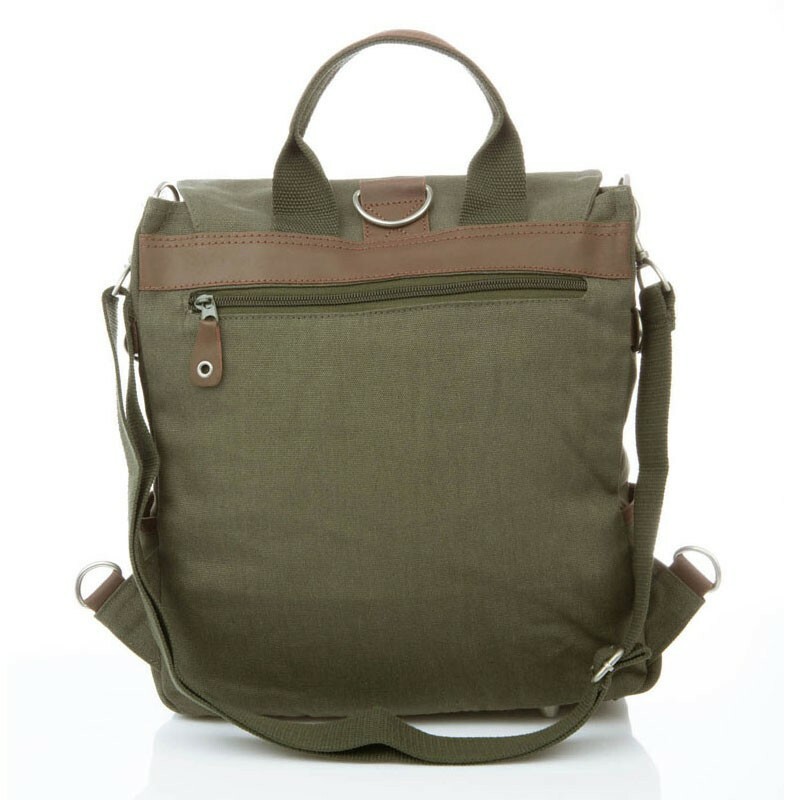 The bag has an inside compartment, a pocket with zip on the back and two front pockets that close with pressure buttons. Laterally there are tight pockets. The shoulder strap is adjustable and can also be removed. The handle is reinforced with leather. On the sides and on the top are D-rings, so the bag can be worn like like a backpack by strapping the straps along the shoulders. Measures: height 32 cm, width 27 cm, depth 9,5 cm. 0.50 Kg.